The year after I graduated from college, I worked out a budget for myself based on my very tiny salary. As part of my budget, I deposited $50 into a savings account every month. Inevitably, I would overdraw my checking account and the bank would use my savings to cover my slip-up (and charge me $10 a pop each time). This happened at least 7 times in the first year alone. Finally, I had to accept the fact that my budget was broken and make changes to correct it. Everyone knows that having a budget is the first step toward financial freedom, security, and success. But just creating a budget isn’t enough – it has to be a budget you can stick with; one that works for you, not against you. Sometimes we get the sixth sense that our budget isn’t working as well as we’d like it to (or in my case, the problem is staring you in the face on your bank statement). Here are five signs that your gut instinct is right, and it’s time to reevaluate your budget. Everything seems fine and dandy at the beginning of a new month. But as the weeks pass, things begin to change. You might be overspending in certain categories or dealing with unexpected costs, but whatever the reason, toward the end of the month, you are forced to make major changes in your budget. Remember, your budget should keep you in line and on track from the first of the month until the last day of the month. If you consistently find yourself having to make changes, just to make ends meet, something isn’t working out. Tip: Take a look at your budget every time you write out a check, use cash, or make a purchase with your debit card. This will ensure that you stay on track throughout the month. Using credit cards if you are responsible enough to pay off the balance monthly isn’t a problem. But a problem does arise when someone relies solely on plastic just to get by. If your budget is broken, you may notice you depend upon your credit cards to make ends meet, especially at the end of the month. This is a telltale sign that your budget is in desperate need of attention, and should not be ignored. Tip: While drastic, you may want to hide your credit card for a couple of months to see if you can get by. To ensure that you stick to your guns, put your credit card in a plastic bag full of water and freeze it! The money that you have at the beginning of the month needs to cover your expenses until the end of the month. Your budget and accounting system (online or off) should appropriately reflect this. If it doesn’t, it may not seem like a big deal at first. But the risk is that a long-term imbalance in your books will become a massive issue. Tip: Don’t overlook the importance of an accurate accounting system. If your old paper system is no longer working, purchase software such as Quicken Deluxe. A bad financial situation can begin to take a negative toll on your life and relationships. “Your budget never works”; “We never have any money”; or, “Why do we keep spending money on this?” are phrases that might come up if you’re consistently fighting with your partner about your finances. Tip: Instead of fighting, use these situations to better understand your budget, as well as your relationship. Instead of “we never have any money” you should focus on “why don’t we have any money.” This gives you the chance to work together to find a solution. This sign, above all else, is one of desperation. Taking money from a retirement account should never be an option, as the penalties can be very high and a large financial blow. Along with this, borrowing money from friends and family runs the risk of souring your relationships. This is something that can have a negative affect on your budget, as well as relationships with other people. Tip: As tempting as it may be, borrowing from friends or family, or taking money from your savings or retirement is a mistake. Make a rule: you will only do this under the most desperate of times, and if you have exercised all other options. If you need to borrow money to eat and pay the rent, so be it. 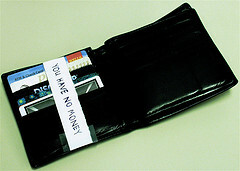 If you need to borrow money to go to the movies and dinner, you are out of luck. Living with a broken budget can damage not only your finances, but also your relationships with those around you. So, it’s important to be able to pick out the signs of a cracked budget, in order to implement the changes that will fix it in the long run. Is your budget broken? Do you identify with one or more of the details above? What other changes have you noticed in a budget that isn’t working and how have you fixed it? Let us know in the comments! Increase your income and lower your costs. It’s that easy of a formula.